Would you like to have a home security camera system but don’t want a high monthly cost? 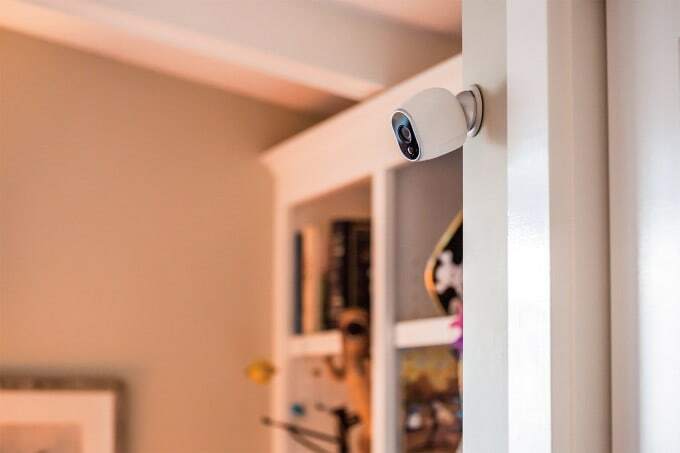 Check out these 5 reasons to use Arlo Wireless Home Security Cameras. Mr. Savvy and I first moved into this neighborhood almost two years ago. It’s definitely one of the nicer neighborhoods in the city and the first detached house we had lived in, in about 10 years. Needless to say, moving here was something we were both really looking forward to. But, of course, there have been issues with living here, too. The day before we moved in, we had a package that got delivered early and when we went to get it that evening, it was gone. After we moved in, we had a couple more packages go missing again, so it was important to me to get a couple security cameras so we could see what was going on outside our home, and inside, too. I’ve used a few different security cameras over the year, but my favorite so far has been Netgear Arlo Smart Home Cameras. Here are 5 reasons to use Arlo Wireless Home Security Cameras that are available in a Best Buy exclusive 4 camera set for $499.99. You can also purchase more individual cameras to add to your collection. 1. You can have a camera security system without a monthly cost. As I mentioned before, we have tried several security cameras. One system was pretty decent, but the cameras had to be plugged in and you had to pay a hefty ($50+) fee a month on top of buying the equipment. I really like that Arlo has no monthly fee, unless you want to buy extra cloud storage to store your recorded videos and pictures which starts at just $9.99 a month. 2. The cameras are wireless so you can setup and move them around easily. Wired cameras can be quite the pain when you want to move them around. Plus, I really dislike the unsightly wires and cables you then have to deal with. So, I really love that Arlo cameras are wireless. To set them up, once you have your base plugged into your wireless router, all you have to do is press a button while having the camera near the base. After this, you can put the camera wherever you want it and continue to move them around as needed. This is so much easier than some cameras I’ve used where you had to take a picture of a QR code that took forever. 3. You can view your cameras in real time no matter where you are with an internet connection. 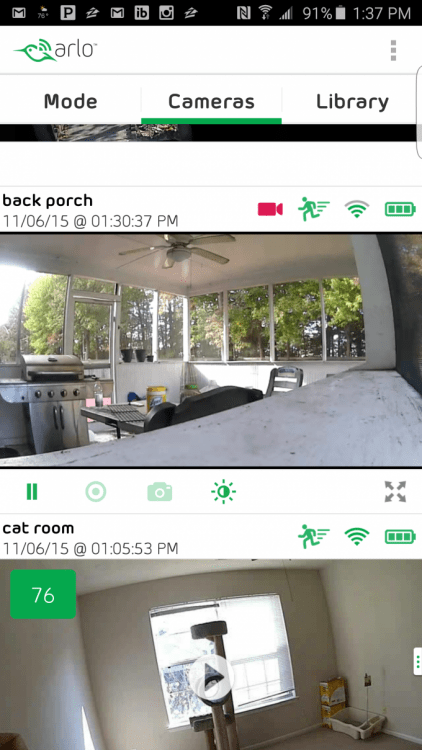 With Arlo, you can access your cameras in real time via the phone app or in a web browser. I find both to work really well. You can also view recorded clips or photos you take while viewing the live stream. 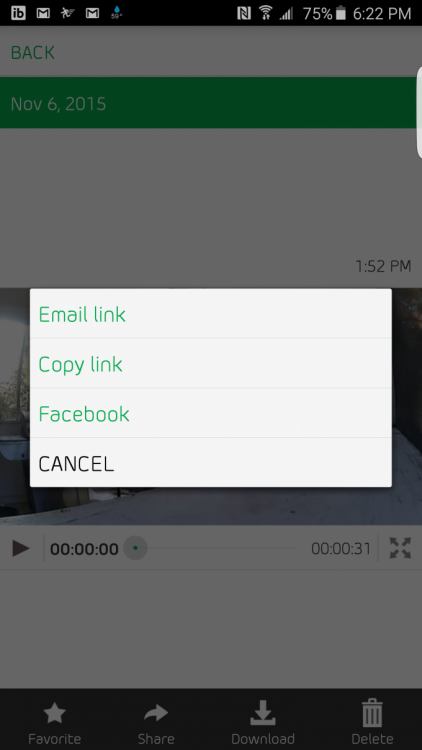 You can also download, delete, favorite, or share clips with both options. I think it’s pretty cool that you can share a link to a video in email, Facebook, or copy a link to another chat platform. You can also invite others via email if you want them to have control over some or all of your cameras. 4. The cameras can be used both inside and outdoors. One nice thing about these cameras is that you can use them both inside and they are weatherproof for outside as well. Each camera comes with a magnetic base you can attach it to, along with mounting screws. Inside we have attached the cameras to magnetic materials like a rack in a closet or a floor lamp. Outside I would attach the camera with screws so it’s not easily removable. It is important to note that while you can view the stream at night very well, if you want to see outside, I’d put the camera outside instead of in a window as the light will likely just reflect so you won’t really see anything. Playback is also really nice as you can capture 720 video footage both during the day and night with a 130° field of view. 5. There are several settings you can customize. 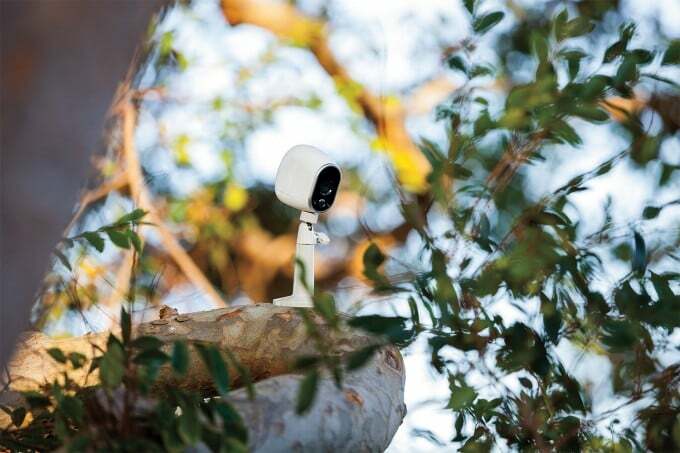 If you are looking for a security camera system you can really customize, Arlo is certainly a good choice. You can name your cameras whatever you’d like, choose the times you’d like the cameras to record motion and how Arlo will manage your files on the cloud. You can setup notifications to go to your phone, email, or both, as well as be alerted when you are getting full on your cloud space or batteries in a camera are running low. Each camera also has its own settings, such as the quality of the video, the sensitivity of motion, and how long you want the camera to record when it senses motion. After trying several types of cameras, I can certainly attest that no camera system is perfect 100% of the time for each situation. Here are some things I suggest you keep in mind when considering using Arlo for your home. There is no option for sound playback, nor recording to start based on sound. While you can zoom in, you cannot move the camera around via the app remotely. If you use a camera a lot, expect to change the batteries often. Batteries can last for several months with about 4 minutes of use a day. In our cat room, the camera obviously records more than that and only lasted about 2 weeks with the batteries included in the kit. As such, I’m looking into rechargeable batteries that can be used in the cameras. If your cameras do get used a lot, you may need to purchase additional cloud storage unless you really stay on top of downloading and then deleting clips you want to keep. If you fill your cloud storage the cameras will continue to work, but will not save any new recordings, or you can set it to delete older recordings in favor of new ones. Extra cloud storage starts at just $9.99 for 10 gigs of space, but I do wish there was an option for $5 a month for 5 gigs. Our power went out one day for a few seconds and I did have to turn the bases system off and back on once power was restored to be able to view the cameras again, but I did not have to go through the setup process again. It can take a few seconds for the camera to load on demand since it’s not constantly streaming, which means you also can’t go back by a few seconds when you load a live camera. If you don’t have one, you’ll also want a wireless router to use with Arlo. Since Arlo is made by Netgear, I would first choose a wireless router made by Netgear to use for the least likelihood of compatibility issues. 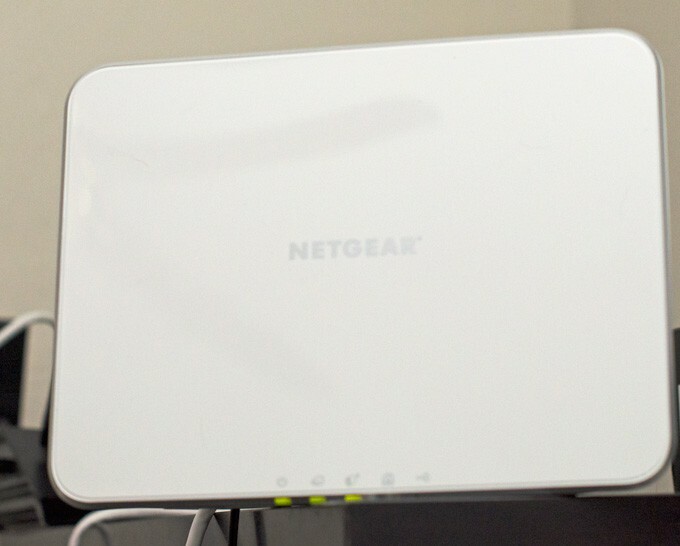 We’ve been using Netgear for years and they have always worked very well with good longevity. One of the newest Netgear routers is the Nighthawk DST AC1900 Wireless-AC Gigabit Router with DST Adapter. The DST Adapter is pretty neat as it’s a dead spot terminator, which means if you have any spots in your house that don’t have access to your wireless router, you can set up the DST to eliminate those areas. You can also connect all your devices such as smartphones, tablets, wireless printers, gaming consoles, computers, laptops, smart house items, and more, without sacrificing any speed. If you’re not an overly tech savvy person, the router also comes with Geek Squad Setup and support via phone and web for one full year. Now that you’ve seen these reasons to use Arlo Wireless Home Security Cameras do you think they would be a good fit for your family?